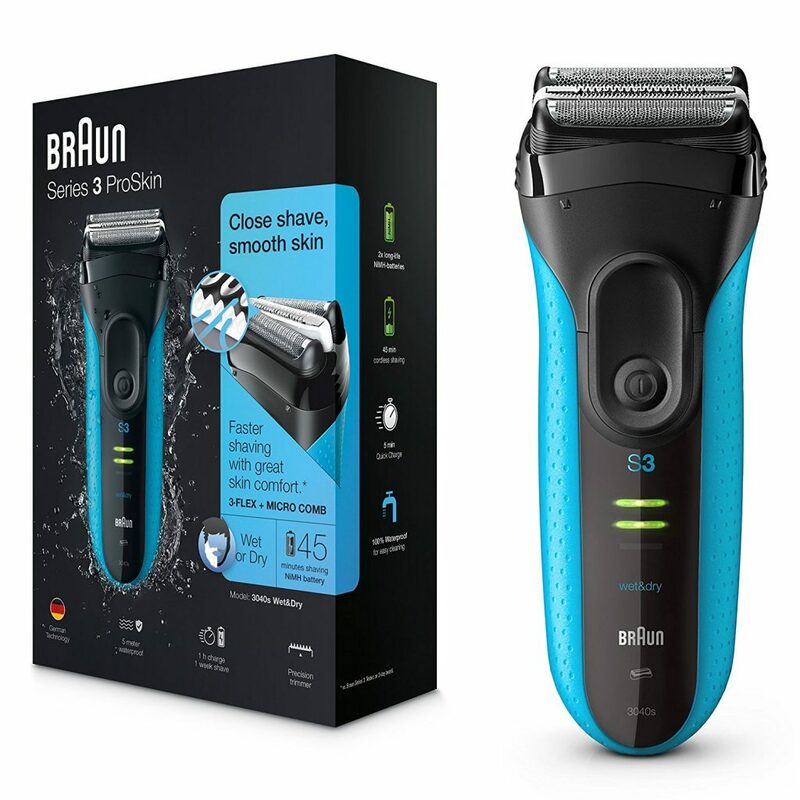 We’re big fans of grooming tech here at GYGO so when we were invited to check out the Braun Series 3 ProSkin shaver and having heard of it’s incredible capabilities how could we refuse! It’s no secret that men are constantly bombarded with grooming tech so it’s always something of a minefield trying to find the perfect shaver for you. In particular it’s always a challenge finding an electric shaver which can offer a true close shave compared to wet razors. Braun have been industry leaders in the field for years so you know when they release an electric shaver it’s going to be something very special indeed. Out of the box the Braun Series 3 ProSkin 3080 is a stunning piece of kit. Clear thought has been put into it’s design and aesthetic. The finish is minimalist with a comfortable grip for the user. Making it very easy to control. We also loved the clean turquoise and black styling, this is not just another chunky electric razor. What really sets this razor apart is just how versatile it is. After just 1 hour’s change you’ll have 45minutes of cordless electric shaving. This is especially easy to monitor from the LED display which quickly notifies you when you’re battery levels are dropping. It’s also particularly impressive to find that the shaver is completely waterproof (up to 5 metres!) This is so handy for when you want to quickly clean the device and something we found really set it apart from other grooming tech. Because of this feature you can also use the Series 3 Proskin with water, gel or foam meaning you’re not limited in how you style your facial hair. We found the trimming of the shaver particularly impressive, and it never felt like we were going over old areas which hadn’t cut properly. 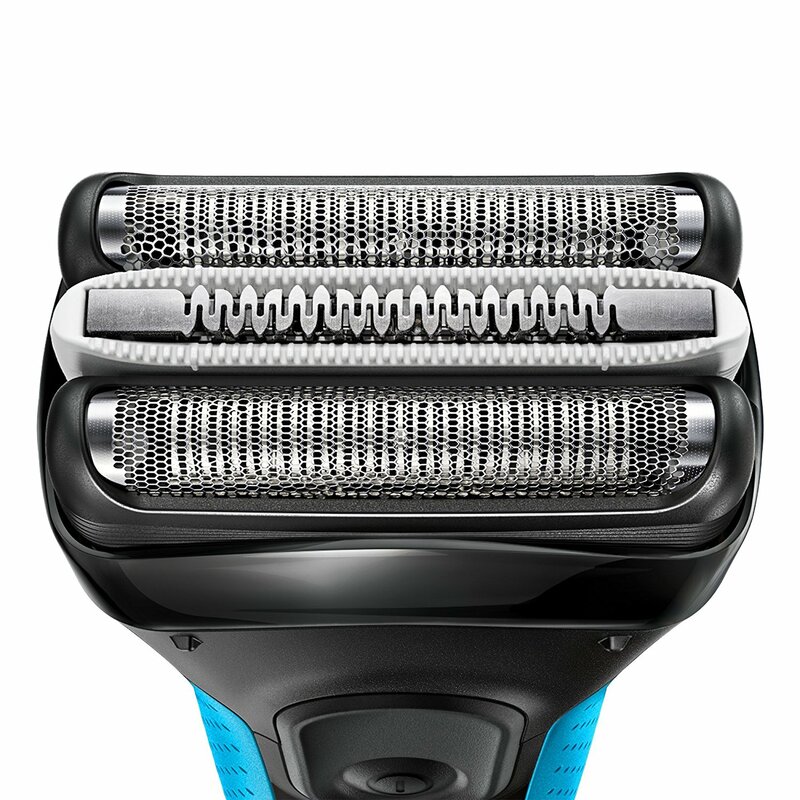 This is supposedly down to Braun shaver’s specialised cutting elements which are pressure sensitive and kept protected with their iconic metal mesh. In practise it’s reliably quick and comfortable and easily allows for a total trim at all areas. For many men though, electric razors still carry the fear of causing irritation to your skin – not with the Braun Series 3, the Braun’s pressure sensitive blades quickly retract to protect your skin ensuring the user maintains a gentle shave and smooth skin. This is down to that previously mentioned metal mesh – e.g. Braun’s SensoFoil which allows the three specialised shaving elements to work together for a close and gentle shave. 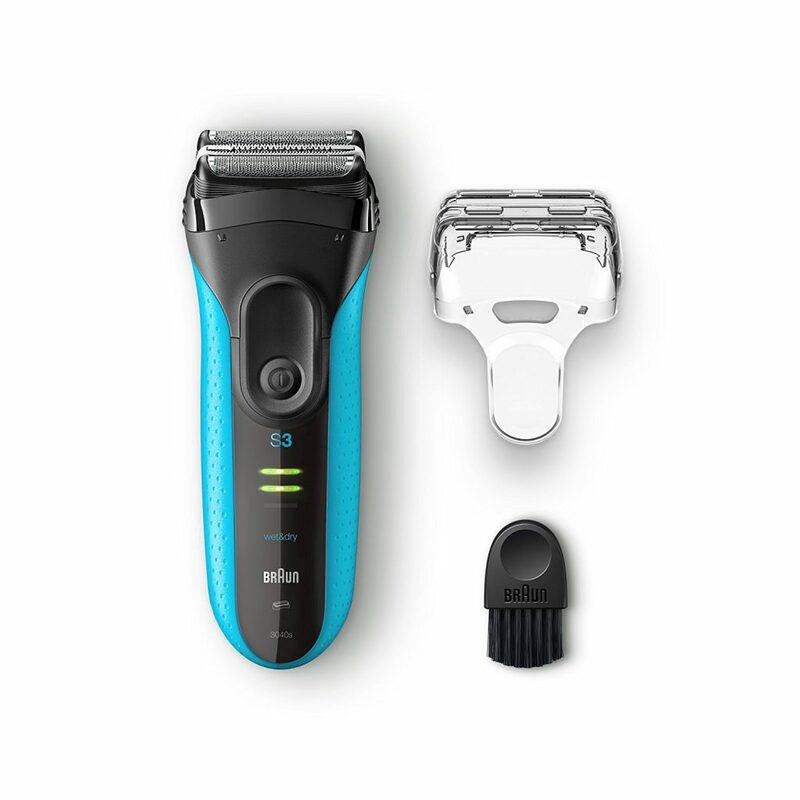 This is also great if you’re going into detailing too with your trim as the Braun has built in precision trimmers on the back, making shortening those side burns or beards particularly easy. You can also use it to reach those tricky areas around your nose and neck where other shavers simply won’t reach. As bearded people it can be tricky to get a clean shave with an electric razor on some facial hair, but the Braun’s excelled here. No loose hairs were left, and all in we were left with some fantastic shaves.